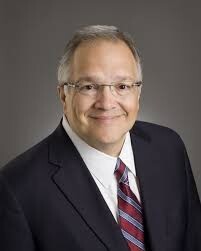 Senator John Carona was born on December 14, 1955. He was first elected in the chamber in 1996. Carona graduated with a B.A. in insurance and real estate from the University of Texas at Austin in 1978. Carona and his wife, Helen, have five children: Joey, Jeff, Will, Kirsten and Kel. o Select a Texas State Agency (department, commission, authority) that you would like to work for. SafePlace in Austin, Tx. o What is the Agency’s mission statement? SafePlace is ending sexual and domestic violence through safety, healing, prevention and social change. o What is the main function of the Agency? Too provide shelter for people that have faced violence in any type of way. o How does the Agency impact the residents of Texas? Give 3 Examples. It keeps people safe from violence. It provides people with shelter and food. Also has a daycare for kids if any of the people saying there have kids. o Summarize a recent news article. Make sure to include the link. This article is about the University of Austin and how there are a lot of sexual assault case in the university and how the administrator are handling the situation by trying to prevent this from happening in the first place and it talks about what they are doing with the victims.